This is what Microsoft Passport could look like (but it isn't). Microsoft’s partnership with Dropbox has been slow to evolve, but the two companies announced a universal Windows 10 app on Thursday with a unique twist: It allows customers to log in to a Dropbox account using Windows Hello. The app is fully baked for Windows 10, boasting notifications, quick search, commenting and drag-and-drop support as well as the Hello biometric login. 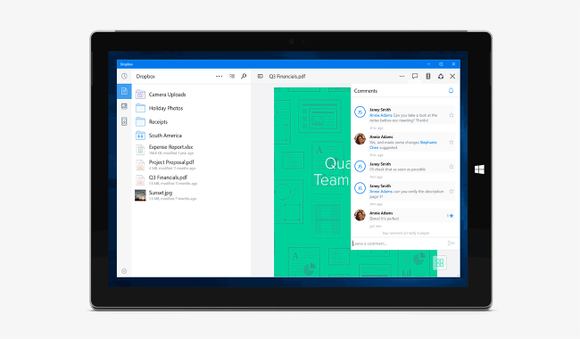 Microsoft and Dropbox said the app, optimized for tablets, should be available within the next few days. A Dropbox client specifically for the Windows desktop is also available. The same universal app for Windows 10 phones should be released “soon,” Microsoft said. A screenshot of the new Dropbox app for Windows 10. One of the key upgrades for the app, however, is its use of Windows Hello, a technology that was introduced last year as part of Windows 10. Most people understand how Hello works: The technology reads your fingerprint or your face and unlocks the device. Nearly forgotten in all of this has been Microsoft Passport, a system that uses the Hello biometric login as a token that could be passed throughout the Web. Once your Windows 10 PC identified you as you, Windows 10 could then eliminate the need for passwords on Microsoft and other Web sites by vouching for your identity. But if you’ve ever tried logging in to another Microsoft website via a Hello-equipped Windows 10 PC, you know this capability isn’t here yet. Microsoft representatives said that the app does not use Passport, but deferred further comment to Dropbox. 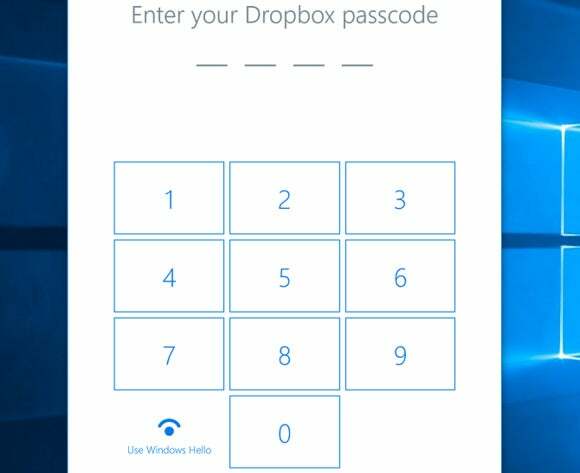 Dropbox, whose relationship with Microsoft dates back a couple of years, is one of the first (if not the first) to show off the potential of Windows Hello as a third-party authentication mechanism. The two companies formed a partnership with one another in 2014, when Dropbox connected its Android and iOS apps to Office, and allowed documents to be edited directly from the Dropbox app. 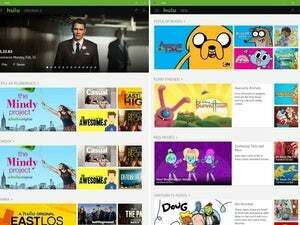 A Windows Phone 8.1 app followed, then an app for Windows 8.1 PCs and tablets shortly before the launch of Windows 10. To date, 17 million people have downloaded one of these apps, Dropbox said Thursday. Why this matters: The fact that users can now access their Dropbox files from Windows 10 isn’t the news here; it’s the fact that you can now do it in a way that feels like Dropbox is wholly committed to the Windows 10 platform. It’s a proper Windows 10 app. And that’s the key: Microsoft needs to lure more developers to its platform, but it also needs exemplary Windows 10 apps that can show off what Windows 10 apps should look like. Editor's Note: This story was updated at 1:57 PM with a response from Microsoft.